Most users prefer to open the Run command box by pressing the Windows + R key combination. But if you’re using a tablet or a PC without keyboard, the fastest way is to open the Run command by pinning the shortcut to Start Menu or taskbar. 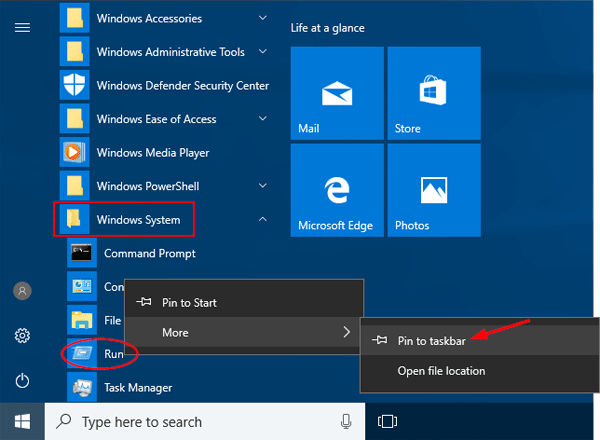 In this tutorial we’ll show you 3 ways to add Run command to Start Menu & taskbar in Windows 10, so it can always be seen and launched right away. Click the Cortana search box in Windows 10 taskbar and type Run. When you see the Run app showing up in the search result, right-click on it. 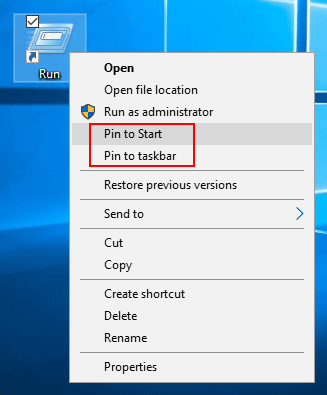 You will see both Pin to Start and Pin to taskbar options in the context menu. 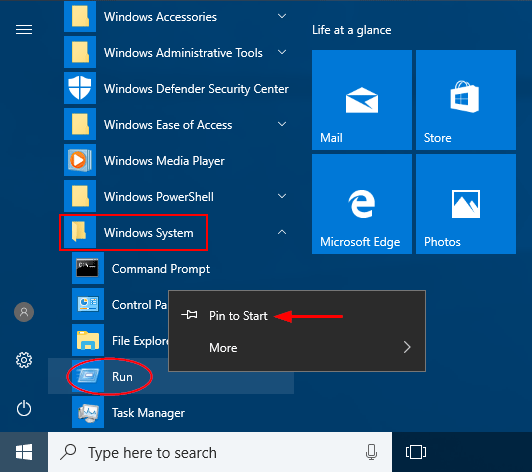 Click the Start button, and then browse to the Windows System folder at the bottom of Start Menu. Expand it and you’ll see the Run command there. Right-click on the Run command and pick Pin to Start from the context menu. 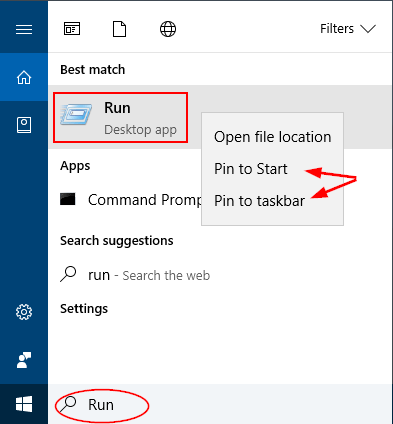 If you want to add Run to Windows 10 taskbar, just select More -> Pin to taskbar from the context menu. 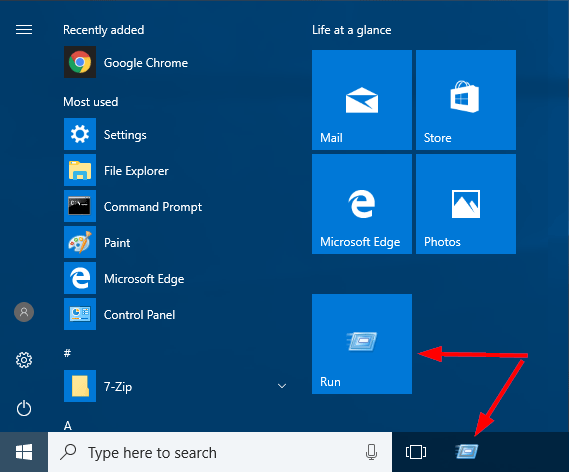 To get started, you need to create a shortcut for the Run command on Windows 10 desktop. When it’s done, right-click on the Run shortcut and you can find the options to pin Run to Start Menu & taskbar.